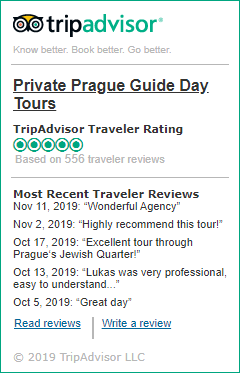 Private Prague Guide represents a personally and carefully hand picked group of licensed and custom-oriented tour guides who know all the ins and outs and can make the most out of your stay in the Czech Republic. Book our most popular Prague walking tours and day trips from Prague. • SPECIALLY TRAINED GUIDES: all Prague guides are fully licensed, fluent in foreign languages, and fun! • INDIVIDUAL APPROACH: you don’t have to run after an umbrella together with 50 other people. • GREAT REFERENCES: recommended by TripAdvisor, Expedia, Fodor´s and Michelin Travel Guides. I am a professional, licensed tour guide with a passion for discovering history, people and their life stories. I have been living in the gorgeous city of Prague for 29 years. I will happily guide you through our capital’s thrilling history, show you the most famous and lesser known places and introduce you to some famous people who created its colorful past. I love travelling, too. I am a native of the Czech Republic, born in a suburb of Prague called Uvaly. My knowledge of American culture and command of the English language is excellent, having spent 15 months in Cleveland, OH after the fall of Communism in 1989. My guide service has been in operation for over 6 years, and my knowledge of history, architecture, and the comparative lifestyle of Americans and Czechs is excellent; thus I am well suited to assist the English-speaking traveler. I was born in Prague in former Communist Czechoslovakia. 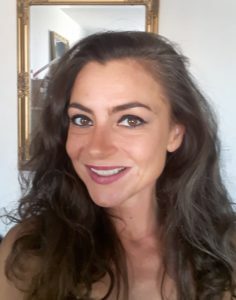 In spite of being the daughter of two nuclear physicists, I have always been interested in languages, which is why I studied Italian philology at Charles University. In 2005 I started to give tours, not realizing that this student job would become my life’s passion. I can work with speakers of English, Italian, French or Spanish. When time permits, I also collaborate with a publishing house as an author or proofreader of educational books. I devote time to various sporting activities, including horse riding and show jumping. I was born in Czechoslovakia and graduated from Charles University in Prague. In 1981 I fled the country, and until 1988 I lived and worked in New York City, and then in Munich, Germany. After my return to Prague in 1994 I worked first as a librarian, but my interest in history, art, and architecture and my love for Prague brought me to the decision to become a tour guide. For the past six years I have been successfully providing guide service to English speaking visitors, showing them Prague as well as many other interesting places in the Czech Republic. I have traveled much of the world and studied in Europe and the USA, thanks to my wonderful parents who founded a travel agency after the fall of the Communist regime in former Czechoslovakia. In 2001 I completed a demanding academic course for official Prague guides. Ever since, I have been focusing on providing personalized travel services and developing our travel agency founded by my parents in 1993. Apart from my job, I enjoy history, philosophy and mountain climbing. I was born in Prague and hold a university degree from Prague’s Charles University. I have been working as a licensed guide in Prague and the Czech Republic since 1999. My hobbies are history, architecture, psychology, theatre and music. Along our tour I will follow the footsteps of our history and explore Prague’s unique details- its gardens, churches, museums and palaces, peculiarities, Czech cuisine and beer,and captivating legends. On the way we will encounter various writers or composers like Franz Kafka or W.A. Mozart, A. Dvořák, etc. I am looking forward to our tour. 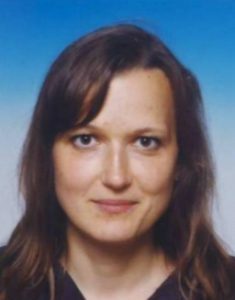 I was born and raised in former Czechoslovakia, and after studying economics, I went abroad, living in several European countries. I totally fell in love with Prague during my professional career, while working with people from all over the world and providing relocation services. Soon afterwards, I decided to become a certified guide and proudly present the gems of our lovely country and our amazing capital, a fascinating job I have been doing for five years. I am Czech, but I also speak English and am working on becoming fluent in Spanish. I enjoy life with a sense of humor. I want to show you the beauty and magic of my birthplace, Prague, and the excitement of the entire ravishing country. It is a must to see breathtaking Prague and the spectacular Czech Republic! I am also passionate about architecture, history and art, to name a few. I love finding hidden gems around me and looking at everything as if I have never seen it before, so I can enjoy every minute, and I want you to enjoy those minutes with me. 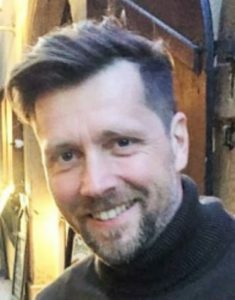 I was born in Prague and have 15 years of experience as a tour guide in Prague and the Czech Republic. In reviews my clients have praised me as being very friendly and informative. They also noted that my English is excellent. I have studied the humanities and history, two subjects I will make you understand with clear explanations. I am very good at assessing the abilities and moods of my clients and always find the right moment to take a break or get a snack. My hobby is gardening, and, whenever possible, I take my clients through beautiful, tranquil gardens that are sure to please everyone. A Czech native and a resident of Prague, I will walk you through the streets of Prague and other Czech cities, castles or the scenic countryside, depending on your interests. During the tour you will become enthralled with Prague, Czech and European history. I am interested in many subjects, not only history. I am a charismatic renaissance man and a father of six, whose interests include art crafts, philosophy, hiking, whisky and wine tasting as well as gourmet foods. My name is Markéta Sohlichová. I was born in Prague and have a university degree in international affairs. 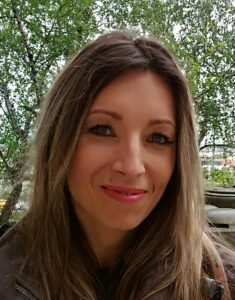 With more than 15 years of experience as a tour guide, I will give you tours of Prague and of other cities of the Czech Republic. I will also show you famous Czech castles – Konopiště Chateau, Karlštějn Castle and Hluboká nad Vltavou Chateau. Because I am interested in athletics, I will offer you sport-related tours as well as trips to the mountains. I speak English, Spanish, German, Croatian and Czech. My hobbies are history, music, traveling and sports. 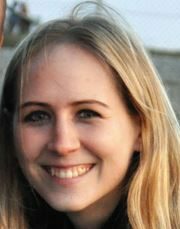 I am a young, energetic and knowledgeable girl with a love for history, art history, architecture and discovering new places around the world with my dog or on horseback. I am a native from Prague (I grew up on Wenceslas Square and witnessed the Velvet Revolution from my window! ), but have also tried the lifestyle of Munich, Germany, and the USA, where I lived and traveled – in San Diego, Hawaii, etc. I come from a long line of great guides and know my hometown very well. My name is Zdeněk Havránek and I would like to show you the charming city of Prague. I am not only interested in history, but also in religion, politics, philosophy and art. I conduct tours for English and Spanish speaking travelers in Central Europe. I would like to accompany you throughout our country or to the cities not far from Prague – Dresden, Cracow etc. I look forward to be your tour guide in my native city as well as Central Europe.